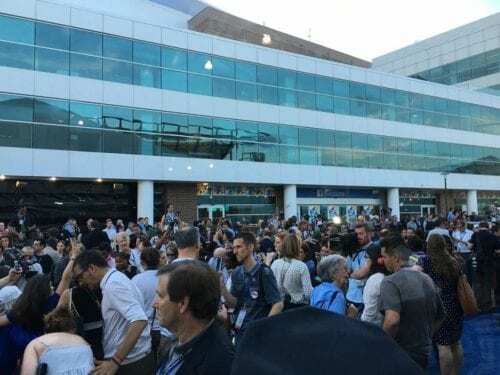 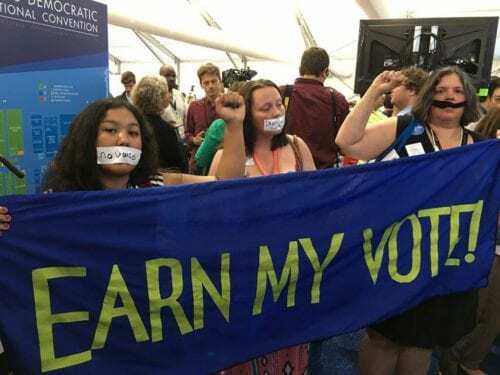 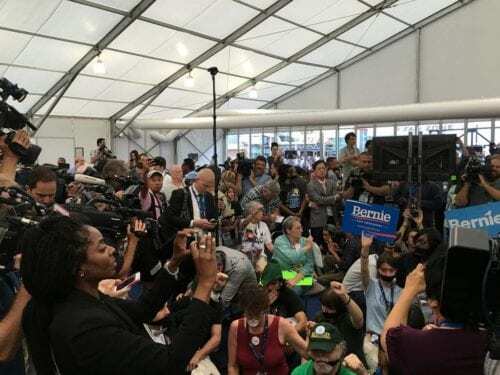 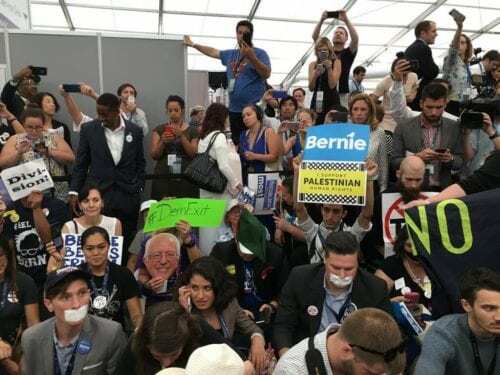 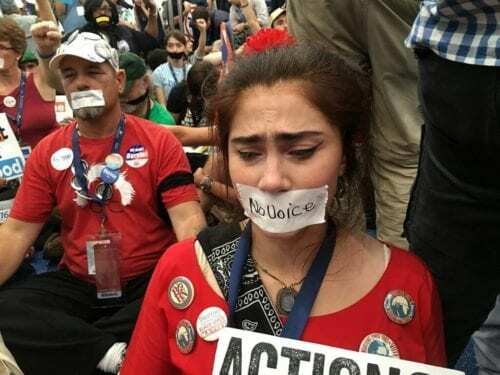 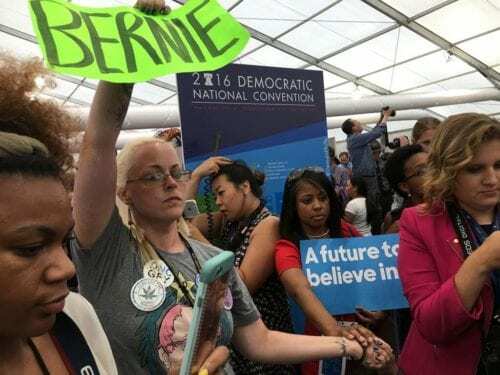 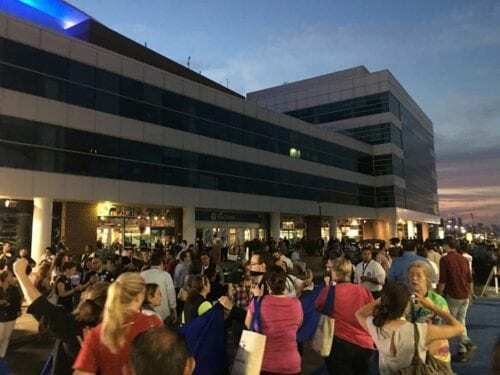 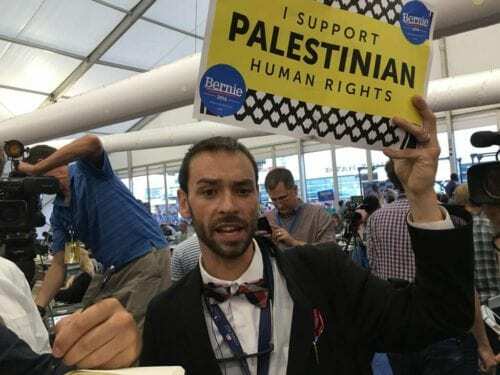 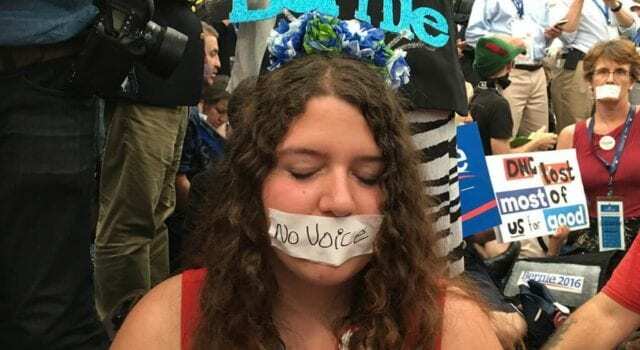 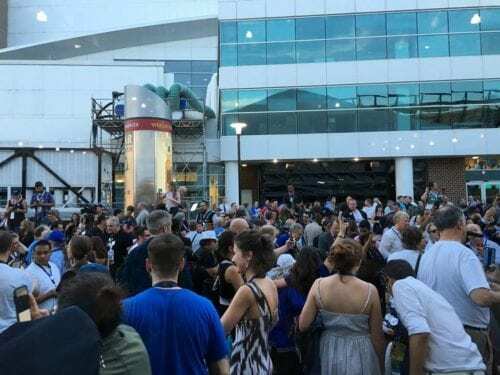 Close to 500 disenfranchised Bernie Sanders supporters and delegates walked out of the Wells Fargo Center in the middle of night 2 of the Democratic National Convention in Philadelphia, marching into the tents housing the media and engaging in a silent protest. 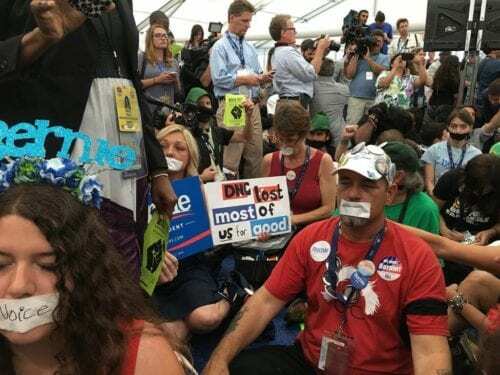 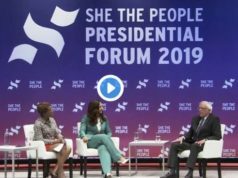 After the silent protest, the Sanders supporters stayed for almost 90 minutes, speaking about why they feel they were cheated by the Democratic National Committee and why many of them are going to support Green Party candidate Jill Stein in November. 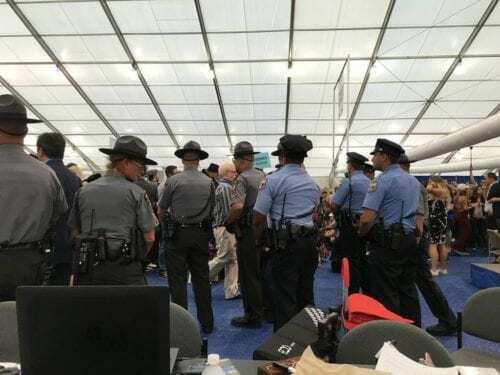 These photos from inside the tent were taken by USA Radio News correspondent Jason Wert, who is covering the convention in Philadelphia. 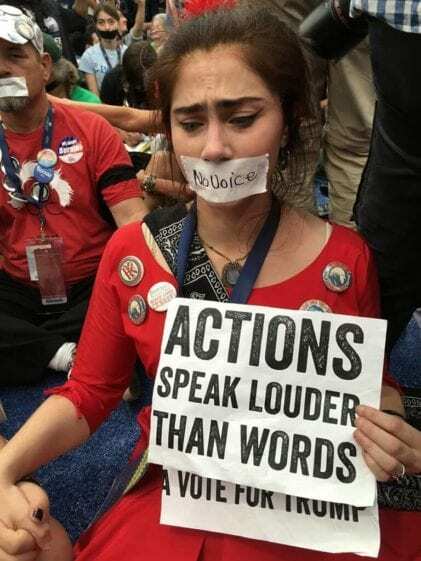 Previous articleHillary & DNC prove its OK to break the law! 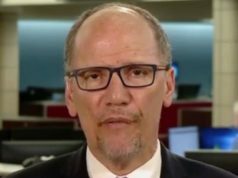 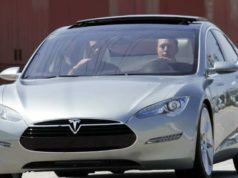 Next articleAre Facebook and Twitter controlled by the DNC?